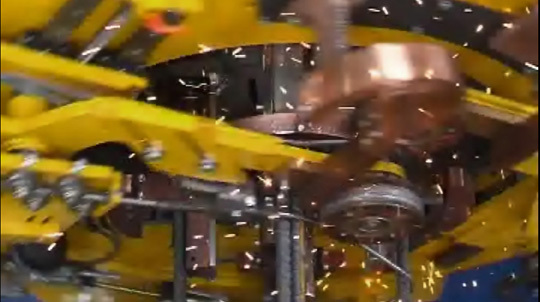 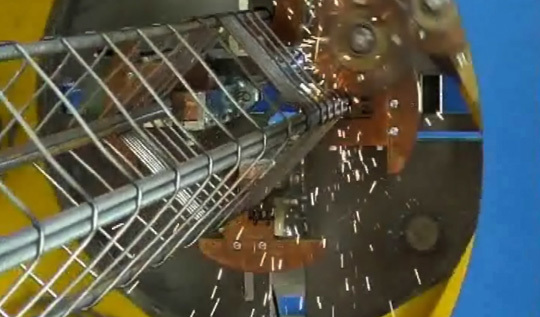 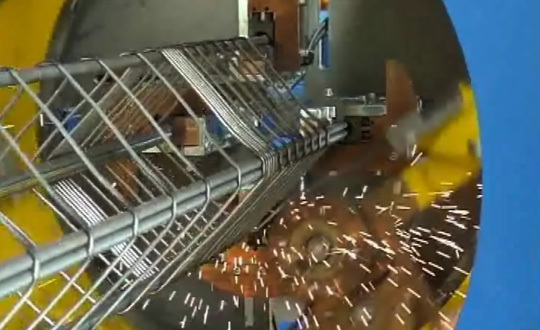 The pile cage welding machine is used for production of concrete poles.The welding machine is with a speed regulating motor pulls the longitudinal bars and the pile cage welding block makes the welding while the circumferential steel bars wind round the longitudinal bars.The main transformer generates a strong current through the electrode welding block to make the crossed longitudinal and circumferential bars rise quickly in temperature until they become plastic and then the contact points are solidly welded under the pressure of the welding block.The pole welder has such advantages as high efficiency,quick forming,no twisting,high strength,labor and time saving and reduced intensity of labor,etc. 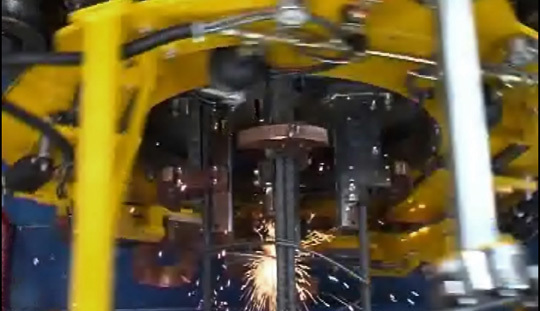 The welder is composed two major parts of mechanical drive and electrical control. 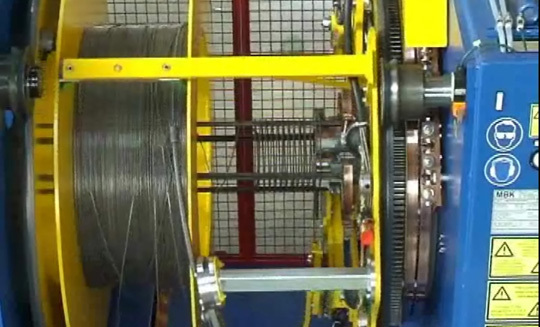 4.To be used in non-explosion-hazardous medium,without enough amount of conductive dust in gas to corrode the metal and electrical insulation.